A woman sits in a rocking chair facing a second woman sitting on a bench knitting. Two chairs stand one on each side of the duo and an open entrance and windows let in the view of trees and shrubs outside. 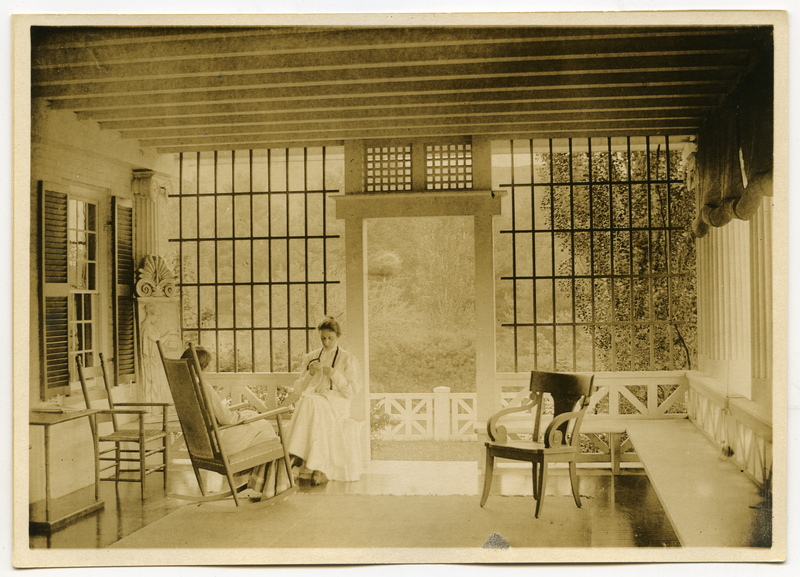 Johnson, Clifton, 1865-1940, “Sunroom at the home of St. Gaudens,” Digital Amherst, accessed April 23, 2019, http://digitalamherst.org/items/show/3546.